Life of the Party: Coca-Cola Teams with DC's Toys for Tots Coca-Cola gave the D.C. chapter of Toys for Tots 25,000 reasons to celebrate this Holiday season. Image courtesy of Brett Bagley. 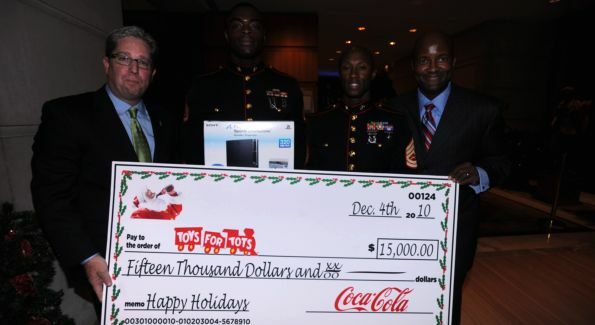 Coca-Cola gave the D.C. chapter of Toys for Tots 15,000 reasons to celebrate this Holiday season. Margaret Howell, Brendan Walshe, Lauren Freedman and Curtis Etherly of Coca Cola Enterprises. Image courtesy of Brett Bagley. 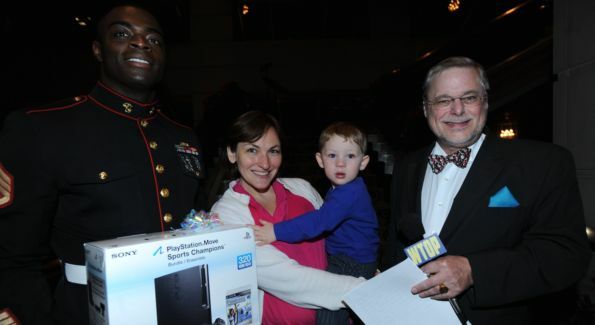 At the Fairmont Washington D.C.‘s seventh annual tree lighting Wednesday, Coke executives celebrated their partnership with Toys for Tots and the United States Marine Corps Reserve by handing the D.C. chapter an oversized check for $15,000. Coca-Cola Enterprises Curtis Etherly said that the world’s largest soft drink maker was just doing its part to ensure a better holiday season for DC’s neediest kids who might otherwise not be expecting a gift on Christmas Day. “We are trying to continue to promote family living and the community,” said Etherly, a native Washingtonian who’s now the company’s vice president for public affairs and communications, based in Atlanta. 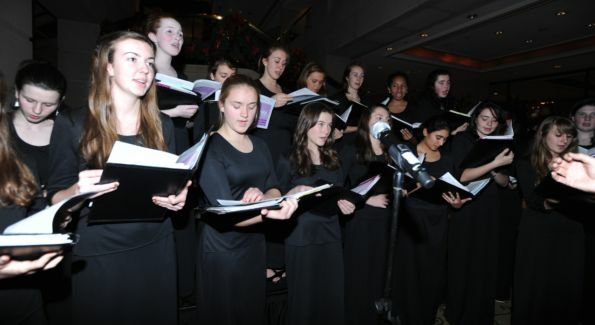 The Fairmont’s Crystal Garden was decked out with 30 animated reindeer and thousands of tiny twinkling lights, as Georgetown Visitation’s Madrigal Choir filled the huge lobby with carols and holiday bells. Marines in dress uniform were on hand to take in donations for Toys for Tots, as the kids dove into Holiday cookies and hot chocolate, and were clearly delighted by the appearance by ol’ Saint Nick. WTOP‘s “Man About Town” Bob Madigan played host with George Terpilowski, the Fairmont’s General Manager, who opened up the Fairmont’s lobby to caroling choir members and bell ringers, before counting down to the tree lighting. Children’s laughter could be heard around the tree, as Coca Cola awarded one lucky little boy with a Sony PlayStation 3 for his donation of an unwrapped toy. The oversized check was presented to Marine Sgt. Eugene Sharpe of DC’s Toys for Tots chapter. Coke’s gift was part of an overall $120,000 donation made by the company to Toys for Tots nationwide. Coca Cola executives presents the check to Toys for Tots. Image courtesy of Brett Bagley. Georgetown Visitation Madrigal Choir. Image courtesy of Brett Bagley. 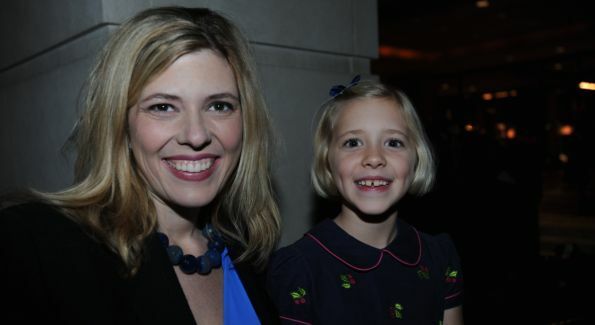 Allison Priebe Brooks and her daughter McClain enjoy the Holiday festivities. Image courtesy of Brett Bagley.